I have some very exciting news to share with you today. For months now, Telerik has been working on a "secret" project in partnership with Carl Franklin at Pwop Productions to develop a regular screencast show (a la DNR TV) that showcases the amazing applications built by Telerik's customers with the RadControls. A lot of people have been busy working on this project and we've already recorded a number of great episodes with some of Telerik's more innovative customers. This week we're happy to unveil the fruit of that work: Telerik TV. To get things kicked-off, Episode 1 of Telerik TV is featuring a product built by our great partners at Falafel Software. Lino Tadros, President, CEO, and all-around entertaining guy, takes the mic with Carl and shows you how ActiveFocus uses the RadControls to deliver a desktop-like experience via the browser. I've blogged about ActiveFocus in the past as an example of an application that really pushes the performance boundaries of the RadControls, so if you want a deeper look at how the RadControls can be maximized for performance, don't miss this episode. 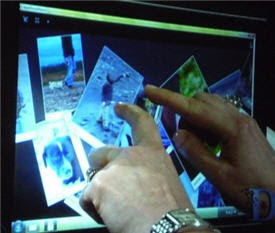 If you're just interested in test driving the latest release ActiveFocus, you can do that, too. Now, I know you are bombarded with media from all directions as a developer, especially on the increasingly crowded podcast and videocast front, so I don't take it lightly to ask you to add another subscription to your media feeders. But if you use the RadControls (or are thinking about using the RadControls) and want to see the elusive "real world" examples of our controls in action, built by people completely outside of Telerik, subscribe to Telerik TV today! We'll only ask for 2 hours of your time every month and we promise to make it worth your while. 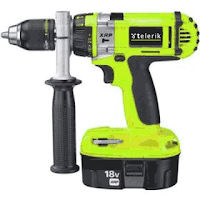 I hope you enjoy this new way to learn about Telerik's tools. We'll be eagerly listening to your feedback to help guide our future plans. In the mean time, we've got a few more exciting announcments to share as we get ready for TechEd 2008, so stay tuned for the fun! 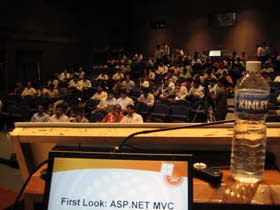 Another day of "bleeding-edge .NET" at the Great Indian Developer Summit and another great presentation to archive. On day one, I had the pleasure of delivering a handful of focused sessions on various Microsoft technologies, but on day two it was all about the Silverlight. Deemed a "workshop" by the schedule, but in reality more like an in-depth presentation, my near 4-hour Silverlight 2.0 Deep Dive was a fun presentation for Silverlight learners of all experience levels. I called it "101 to 301 in 3 hours." Really, the only negative aspect of the presentation was that the room was too small. We had people filling every seat, crammed shoulder-to-shoulder in the aisles, and spilling out the doors for most of the session. 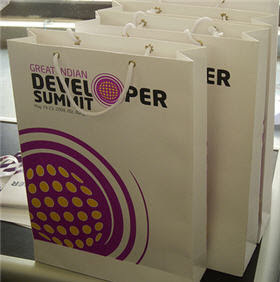 Some GIDS attendees where even willing to stand for over 2-hours to watch the presentation from the door jam. I suspect we managed to cram about 125 or so people in to a room designed for 75, and I know many more simply didn't get to attend because there was no room. Fortunately, for those that didn't get to get in, all is not lost. At the bottom of this post you can find the slides and code demos from the Silverlight Deep Dive session. In about a month, you'll also be able to grab the video of the session from the conference organizers, who are putting all sessions on a DVD. I want to extend a huge thanks to those of you that did attend, especially those that lasted all 4 hours. I had a great time and you had some great questions. I hope you enjoy these materials and I look forward to meeting many of you again on the .NET road! 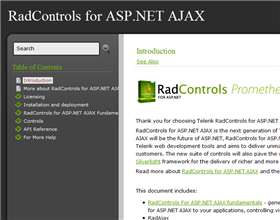 Welcome back to my new series covering optimization tips for the Telerik RadControls for ASP.NET AJAX. The last time we visited, I showed you how you can reduce your initial page load times 30%, on average, by simply adding the RadScriptManager and RadStyleSheetManager to your application's pages. In this installment, we'll look at two follow-up issues: how does the web.config debug property affect page load performance and how much slower is Cassini than IIS. When I conducted the tests for the first installment, I made sure "compilation debug" was set to false in my web.config and I used IIS to get pretty accurate results (I add the qualification because I didn't run the tests on a high performance web server, but you can expect that would only improve the absolute values). What would have happened, though, if I deployed my test website and forgot to set the debug property to false? 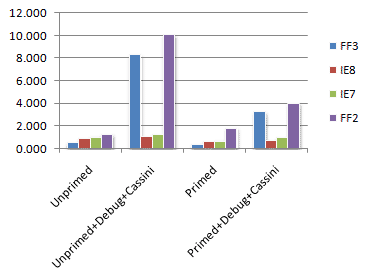 Or even more serious, if I had used the Visual Studio Web Server (Cassini) instead of IIS for my tests, how would that have impacted my perception of page performance? 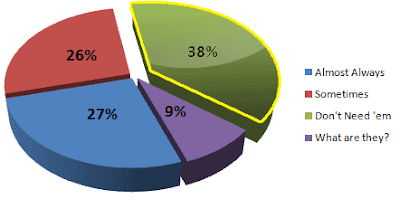 That's what we'll quantify in part two. The results may or may not surprise you, but they'll certainly prove to you why it's important to save your impressions of page performance until a site is running in IIS with "debug=false" in the web.config. One of the easiest ways to tank the performance of your fancy ASP.NET AJAX website is to forget to set the compilation debug property in the web.config to false. This property has been used by ASP.NET for years to control debug and release builds, but the introduction of ASP.NET AJAX and it's richer client-side programming environment has added a serious client-side page load penalty for sites running in debug mode. Specifically, when ASP.NET AJAX detects that a site is running in debug mode, it loads a special debug version of the ASP.NET AJAX client libraries tuned for maximum debugging- not performance. This feature of the ASP.NET AJAX framework is great for development because it makes it much easier to debug client-side code without impacting the performance of "release" libraries. And when the time comes to move your application to production, a simple property change will let ASP.NET AJAX know that it should deploy the tuned-for-performance release versions of the client libraries and turn-off the excessive debugging. That is, of course, if you remember to change the property. 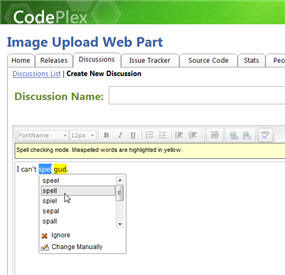 The compilation debug property is located in your application's web.config file within the system.web block. It is a boolean property that defaults to false, but if you develop with Visual Studio, it is very easy to set this property to true without thinking. If you've been developing with ASP.NET for any amount of time, I'm fairly certain you've seen this setting, but you may not fully understand how substantial the impact is of not setting this property correctly. To answer that question, I turned to the same sample application we introduced in part one of this series. It consists of a page with RadGrid, RadTreeview, RadMenu, RadSplitter, RadAjax, and (for these tests) RadScriptManager and RadStyleSheetManager. I tested page load times using IIS and IE7/8 and FF2/3, loading the page 6 times in each browser: 3 loads with a primed cache, 3 unprimed. The key difference for these tests, though, is that I set debug in the web.config to true. 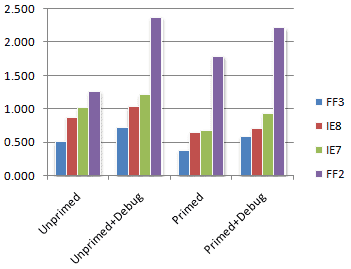 Initial page loads are almost 40% slower in debug mode with IIS! The obvious point: don't deploy applications with debug still set to true! You can hurt application page load time by 25% if you miss this. Do you remember when Visual Studio didn't have a web server built-in? I know it's been a while now, but there was a day when every web site developed in VS had to be manually setup in IIS just to see it run. Thankfully, those days are behind us and the Visual Studio Web Sever (originally Cassini) has made the process of quickly building and testing web sites as easy as a single keystroke. While Cassini is great for rapid application development, it's far, far from being the robust ASP.NET server that is IIS. I think all ASP.NET web developers understand this fact casually (we'd never try to run an ASP.NET website in production on Cassini- if it were even possible), but I don't think the difference between Cassini and IIS performance is well understood- especially in the context of page load time with ASP.NET AJAX. To make that difference clear, I ran another batch of tests, this time testing page load times in Cassini, still with debug set to true. 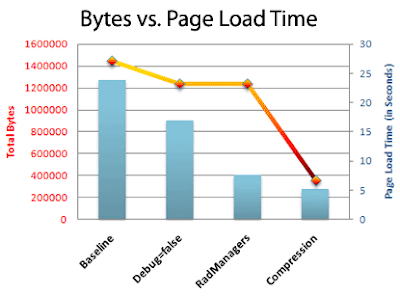 On an unprimed cache, pages load 91% slower (FF2 & 3 avg.)! So what? What are supposed to do about a slow development server? Nothing, really. The point here is that you should never make judgments about how long it takes your page to load if you're using Visual Studio's Web Server. When pages are in debug mode (which they usually are in Cassini), your page load time could take more than twice as long in development than it actually will in release mode served by IIS. This tip doesn't really provide you with anything you can specifically do to the RadControls to make them load faster, but it does drive home important points about measuring the performance of your pages that use the RadControls for ASP.NET AJAX. 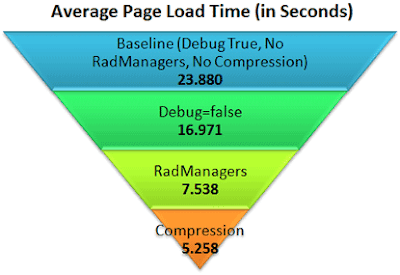 Now that you've seen the actual impact of compilation debug and the Cassini web server on page load time, you know that they can have a dramatically terrible impact on your page's performance and thus on your perception of the RadControls. Always make sure you test performance using IIS with pages running in release mode to get an accurate picture of how your pages are performing. If you practice this tip, combined with the Rad Managers talked about in part one, and future optimization tips in this series, you'll be guaranteed to see page load times that make you smile- not scream!